A branch of the ancient Levi family of Jewish origin, had been working since the seventeenth century, in the almost alchemical field of distillation, in the Alpine valleys of San Giacomo or Vallespluga, locally called “Val di Giust”, in the municipalities of Fraciscio di Campodolcino. For over three centuries, distillers called “grapat” emigrated temporarily from these valleys during grape harvest and wine-making, to the wine regions of Piedmont where, using mobile stills, they proceeded to the distillation of pomace for the production of Grappa. Many of these distillers, with time, moved permanently to the workplaces and established real, permanent distilleries. Between Lombardy, Piedmont, Val d’Aosta, Veneto and Emilia, about fifty distilleries were founded by people from the Val di Giüst. Serafino Levi married Teresina Balbo and two children were born from the marriage, Lidia and Romano. In 1925, he chose to settle in Neive, land of great wines and where pomace of the highest quality was available, here he founded his direct fire distillery. Serafino died young in 1933, leaving two small children and his wife, who continued to run the distillery. But she too was marked by a tragic fate, she died during an air raid in 1945. Romano Levi was then 17 years old and a student at Alba. He decided to quit his studies and, with the help of his sister Lidia, continued distillation. … I think that this Giovanni Malba was a distiller because they made this equipment very well; as well as designing it, if they designed it, they have made it very well”. The Levi house-distillery is now a living, Grappa production museum, a real time capsule, where the Genius Loci of Romano Levi, hovers everywhere in art, in the method and time of work, in the simple and basic objects, scents and serenity. The distillery is always open to everyone, it’s a bit more difficult is to find some bottles ready for sale, as the very low production capacity cannot meet the demand that comes from all over the world, but connoisseurs are aware of this, they enjoy the serenity of the place, don’t get angry and wait or try again patiently. “… For me it has been a great help (her presence) because I certainly wouldn’t be here at this point … yes, she is also strict with me, so she was very useful for my work. She also works to make the herbs that are works of art in the bottles. She was very useful to me”. 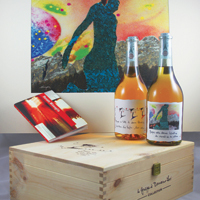 But it is with Romano that fame is gained by his bottles of Grappa, for the labels written by hand and then enriched with poetic phrases or naive drawings, those little masterpieces we now call “WILD ART”. 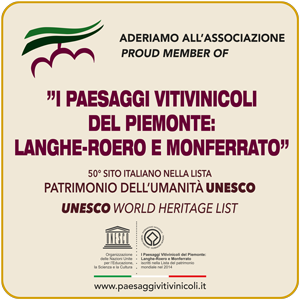 “… The first handwritten labels were created in 1962/63 when our friend Giorgio Adriano from Neive, who had a wine-house in Sanremo and bought grappa from us, said: “for me make labels torn from a piece of paper, then write by hand this and this… … not written by me but by an older lady, Mrs Sabina, and it was dedicated to a barrel that we called “Black forgotten Grappa”, it was very, very dark for the many years it had been in the barrel. Then this lady, after writing the first 50-100 labels, got tired and so I had to write them myself”.